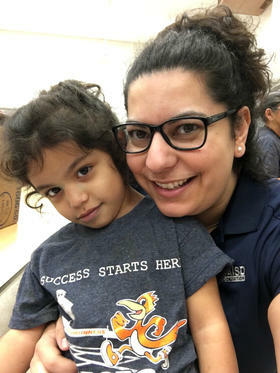 Ozuna had been teaching special education for six years when 3-year-old Naomi came zooming into her classroom at a Meet the Teacher event and started pulling books and toys off shelves. “My husband and I were so worried that she was either going to stay where she was: Barely saying one, two, three; barely saying A, B, C … or continue to move back, or not even want to try, or just shut down,” Campos said. Naomi was developmentally delayed by two years, and even further behind in speech. She was 3, but Campos said she spoke like an 8- or 9-month-old. Ozuna said that happened pretty much every day for the first two months. Nothing the teacher said or did made a difference. 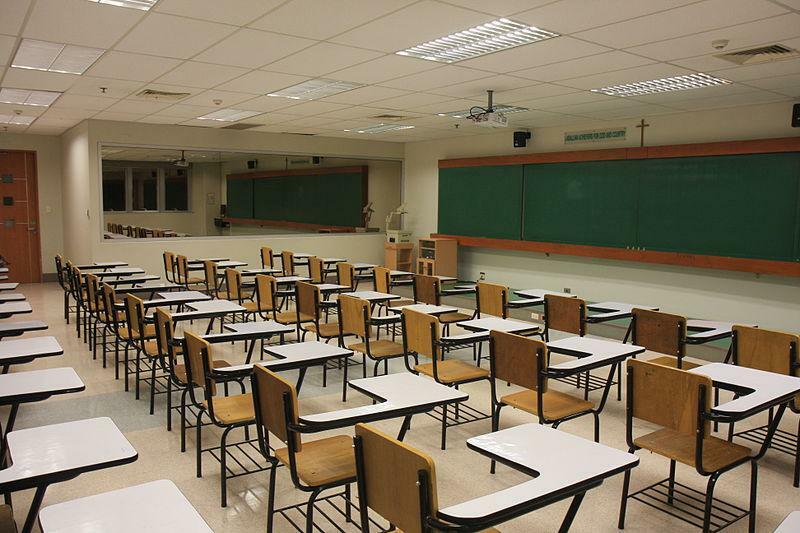 “I could easily write those things down and say, ‘She needs a more restrictive environment. She’s throwing blocks in class. She’s going to hurt somebody.’ And I didn’t want to do that,” Ozuna said. “I looked at where she was, pacing wise, within her own goals and objectives, and she wasn’t there. Some of the items for doing shapes and letters and counting, they just — they weren’t there,” the teacher said. 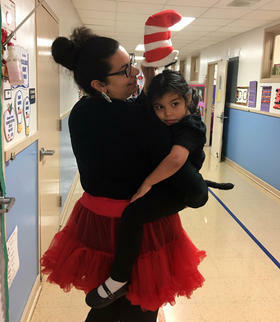 Ozuna realized that if she didn’t find a way to reach Naomi, the 3-year-old would continue to speak and act like a 1-year-old. Naomi likes to be active, so during story time, Ozuna had the 3-year-old help tell the story by acting it out. By the end of her first year in pre-K, Naomi’s mom said her daughter was excited to go to school. “She popped up like a rocket. They saw what things interested her, and they used that to get to her little brain,” Campos said. 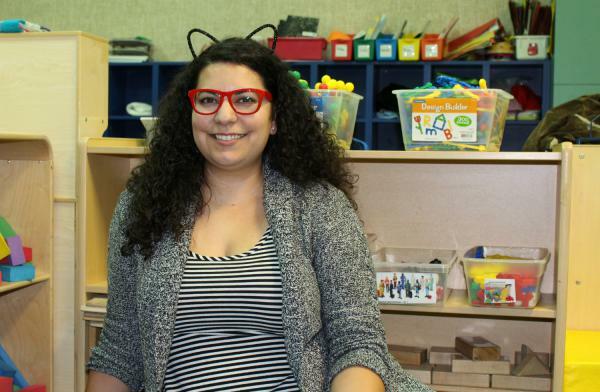 By the end of her second year in pre-K, Naomi had almost caught up to where a 5-year-old is expected to be developmentally. She was speaking, singing, counting and speaking in full sentences. Looking back on it now, Ozuna said sometimes she thinks about what would have happened if she hadn’t been able to reach Naomi. The preschooler would have ended up two, three, four years behind her peers. And that would have set the bar lower for the rest of her academic career. “I feel like she came a long way,” Ozuna said. Campos said Naomi sees a behavioral therapist and still has a slight speech delay, but the school decided she was ready for a general kindergarten classroom instead of a special education class. This story is part of the "What My Students Taught Me" podcast, and was produced in partnership with the Teacher Project at Columbia Journalism School.